Harvard University Press, 9780674235267, 432pp. Richard A. Posner is probably the leading scholar in the rapidly growing field of the economics of law; he is also an extremely lucid writer. 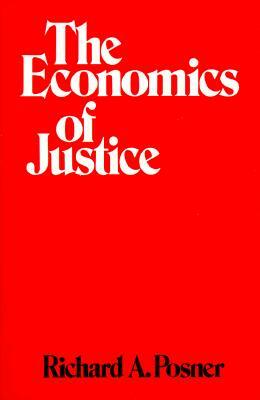 In this book, he applies economic theory to four areas of interest to students of social and legal institutions: the theory of justice, primitive and ancient social and legal institutions, the law and economics of privacy and reputation, and the law and economics of racial discrimination. The book is designed to display the power of economics to organize and illuminate diverse fields in the study of nonmarket behavior and institutions. A central theme is the importance of uncertainty to an understanding of social and legal institutions. Another major theme is that the logic of the law, in many ways but not all, appears to be an economic one: that judges, for example, in interpreting the common law, act as if they were trying to maximize economic welfare. Part I examines the deficiencies of utilitarianism as both a positive and a normative basis of understanding law, ethics, and social institutions, and suggests in its place the economist's concept of "wealth maximization." Part II, an examination of the social and legal institutions of archaic societies, notably that of ancient Greece and primitive societies, argues that economic analysis holds the key to understanding such diverse features of these societies as reciprocal gift-giving, blood guilt, marriage customs, liability rules, and the prestige accorded to generosity. Many topics relevant to modern social and philosophical debate, including the origin of the state and the retributive theory of punishment, are addressed. Parts III and IV deal with more contemporary social and jurisprudential questions. Part III is an economic analysis of privacy and the statutory and common law rules that protect privacy and related interests--rules that include the tort law of privacy, assault and battery, and defamation. Finally, Part IV examines, again from an economic standpoint, the controversial areas of racial and sexual discrimination, with special reference to affirmative action. Both Part III and Part IV develop as a sub-theme the issue of proper standards of constitutional adjudication by the Supreme Court.